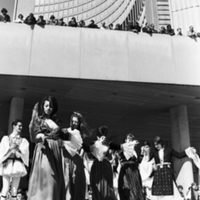 Image of a group of about 10 young men and women in traditional costume dancing in procession at Toronto City Hall. A large crowd of spectators looks on from a balcony above. 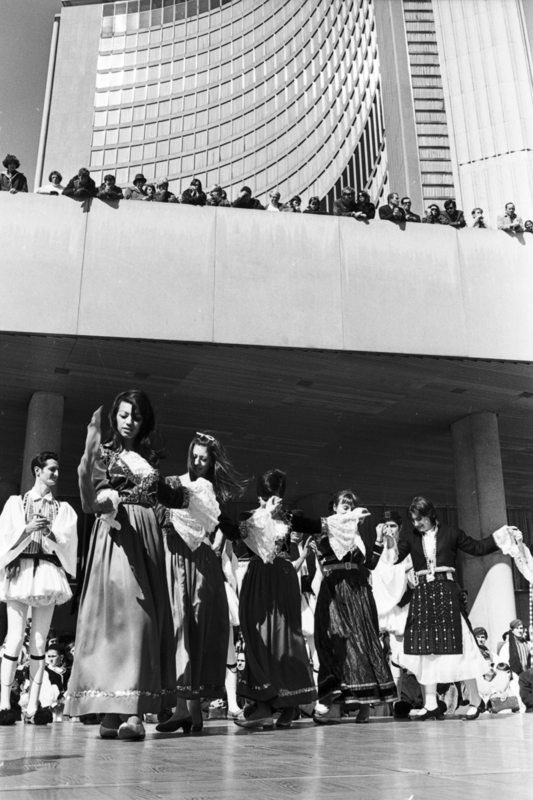 [Telegram Staff], “Greek Groups : Greek Community Dancing,” York University Libraries | Clara Thomas Archives & Special Collections online exhibits, accessed April 21, 2019, http://archives.library.yorku.ca/items/show/3836.